The Big Wobble: Astonishing odds! California's drought was worst since the 1500's and wiped out in just three months from wettest winter in a 100 years! Astonishing odds! California's drought was worst since the 1500's and wiped out in just three months from wettest winter in a 100 years! 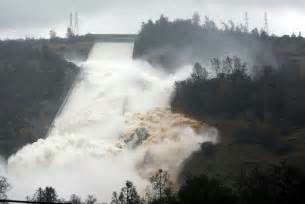 Photo cbsnews.com Oroville dam which burst under the incredible force of water! Parts of California's record breaking drought was the worst for nearly 450 years going all the way back to the 1500’s, around the time the first European, Juan Rodriguez Cabrillo discovered America’s West coast. Astonishing it recovered in just three months! Northern California has had its wettest winter in almost a hundred years. Between October 2011 and September 2015, California saw its driest four-year period in the instrumental record, which dates back to 1895. Parts of the state lost more than two full years of precipitation during the prolonged, severe dry spell. But, a new study by NOAA NCEI scientists suggests that from the longer-term view of paleoclimate records, the southern Central Valley and South Coast parts of the state saw their worst dry spell in nearly 450 years going all the way back to the 1500’s, around the time the first European, Juan Rodriguez Cabrillo discovered America’s West coast. California’s hardest hit areas would likely need several decades for their long-term average precipitation to recover back to normal. After a such a mega drought, you would expect California’s hardest hit areas to take several decades to recover, if at all but recover it did and what’s more astonishing it recovered in just three months! Yesterday the LA Times claimed Northern California has had its wettest winter in almost a hundred years. 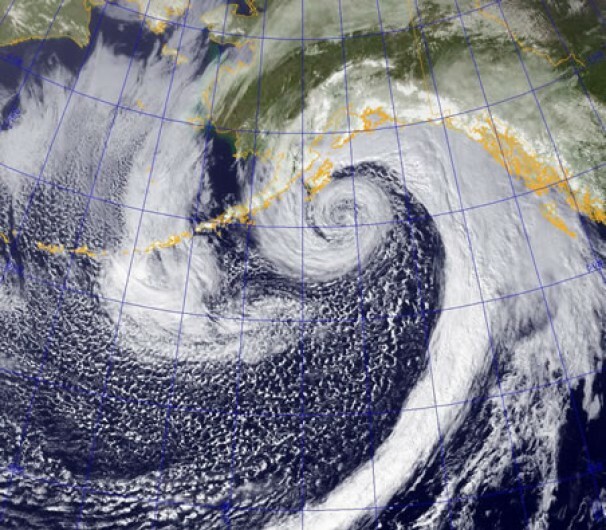 A barrage of “weather bombs” correct term explosive cyclogenesis, also known as “Bombogenesis,” saturated California during the months of December, January and February filling reservoirs so full several of them burst from the strain, resulting in the evacuation of thousands of residents residing in the vicinity of the dams. Torrential rain, flash floods and mud slides wreaked havoc killing and injuring many people. Vital highways and railways were shut down and sinkholes opened on main roads under the heaviest rainfall in the drought-stricken region in at many years. LA Times goes on to quote: As of Thursday, an astonishing 89.7 inches of precipitation across a zone of eight stations in the northern Sierra has been recorded since October. That breaks the record 88.5 inches that fell by the in the 1982-83 rainy season. And it didn’t just happen in California; In an astonishing turnaround for drought crippled regions around the globe, the first four months of this year has seen not only California but, Zimbabwe, New Zealand, Madagascar, Namibia, Angola all having disastrous droughts wiped out! In a warming world, higher temperatures could combine with and amplify severe precipitation deficits. If temperatures continue to rise as they have, the U.S. Southwest could be facing “megadroughts” worse than any droughts in the region since medieval times by the second half of the 21st century.